As Mr. Loadlink recharges his blogging batteries on a well-earned vacation, John Molidor, general manager, Straightpoint Inc., explains why people matter even in a modern, high-tech world. 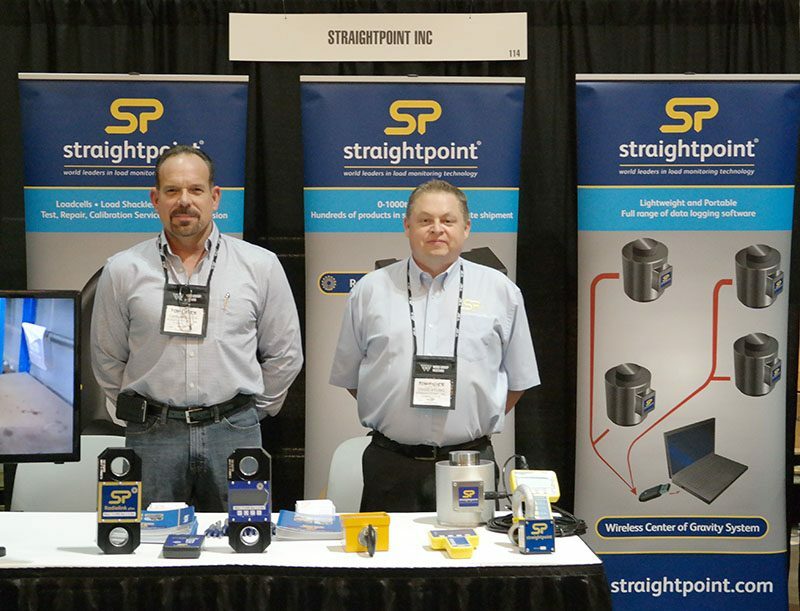 Here I am enjoying a recent trade show with Mr. Loadlink, aka Straightpoint CEO David Ayling. A lot has changed since I joined Straightpoint Inc., but I will remain true to certain principles. I said in my first interview at the company (four-and-a-half years ago) that I would strive to build a rapport with people and aim to deliver the highest level of customer service at the first point of contact. I’m just as passionate now about delivering on those promises every day. My role is different to that which I took on in the spring of 2012. Regular blogger Mr. Loadlink, aka Straightpoint CEO David Ayling, described us as a gazelle company recently, which was very apt. Such growth generates a lot of emails, spreadsheets and other distractions but, as this week in Tulsa, Oklahoma and Wichita, Kansas with distributor Bishop Lifting Products Inc. reminded me, I feel at my most effective when I’m out of the office or dealing with people. I wish I had a buck for every time someone said that to me when I picked up the phone. It never ceases to amaze me. Is it really progress that complex, automated answering systems are now so commonplace that people don’t even expect to get a human being on the end of the phone when they dial a number? I don’t think so. I know this blog is read internationally so I’ll give my point some perspective. Here in the U.S.—Straightpoint Inc. headquarters are in Camarillo, California—about 75% of customers make their first contact with us by telephone and right now about 50% of those are reaching out to us for the first time. It is my impression that globally the percentage of email enquiries is much higher. I respect that U.S. industry is staying loyal to the more personal approach, but it’ll only continue if all links on the supply chain play ball. Despite Straightpoint Inc. growing exponentially over the last five years, we still have a long way to go in raising awareness of the brand as other (inferior, most say) products that have been in the industry longer have the luxury of market share. Add to that the percentage of lifts that are currently happening even as you read this without proper information about the load, and Straightpoint only has a very slender slice of the pie. I’ll elaborate on the status of our development later but I allude to it now because it isn’t uncommon for someone to call us having been dragged through the mangle of an automated telephone system at a competitor, lulled to sleep by on-hold music, or had their approach ignored completely. Each time the result is the same—they sought a force measurement solution and another supplier had failed to take the call. Answering calls at Straightpoint is priority, as it should be at all businesses where enquiries are the lifeblood of a company’s existence, because we care about the people on the other end of the telephone. If there’s one thing I want readers to take from my first guest blog, it’s that human beings are important and, furthermore, we should all strive to uphold that in an environment where people skills are becoming a dying art form. It goes beyond picking up the phone and being polite. Everyone who takes a call at Straightpoint knows how to react to certain questions and process an enquiry accordingly. This is only achieved with effective and regular product training. When a Professional Engineer has a requirement to measure a load, finding the right equipment based on their questions is crucial to building a rapport with new and existing contacts. Think of the percentage of new business we’re getting, as referenced above, and consider how important it is for us to get this right. I’ll give you an incentive to scrutinize your own systems. As a result of taking a recent telephone call, we sent four 300-ton load cells to South Korea within four days; we shipped two from the U.S. and two from Europe. The extent of the customer’s gratitude proved that we’d exceed their expectations, provided a personal service and probably done something few, if any, of our competitors would have even contemplated—if they had answered the phone in the first place. It all started by picking up the phone and saying, “Hello”. All people are important, not just customers. We have secured a number of high profile acquisitions recently, most notably Wayne Wille, technical sales manager; and Myron Jones, operations manager. Tressie LaBass, customer and sales support administrator; and Scott Abernethy, technical specialist, complete the team here in Camarillo, in addition to a presence in Houston, where Aaron Orsak, technical sales engineer, is based. All the while, we have to coordinate with the U.K. operation, which is also our manufacturing base. Remaining cohesive is a challenge, but one we overcome by understanding our roles and communicating effectively—sometimes by phone. Wayne’s recruitment is particularly interesting in that we have traditionally sold our range of equipment as rigging products. We see ourselves as a below-the-hook equipment manufacturer, but one that is promoting a technologically advanced safety system. What Wayne brings to the company is a background and connections in the U.S. scale dealer network, which opens up a new avenue of distribution for us. The scale industry is also more mature in terms of its uptake of load cell technology, which means Wayne can introduce our equipment to dealers that already have frequent dialogue with decision makers who purchase this kind of kit. I’m sure other companies that sell through dealer networks monitor equally varied levels of maturity in their supply chains and I’d encourage everyone to explore this fascinating dynamic. Work to develop the more traditional rigging dealer network is ongoing and, despite recent progress, the potential remains huge, as I’ve said. Again, I’m not using this blog as a sales tool (I know the rules!) but fact is everybody who is exposed to our technology is impressed with it. I know of companies with 100 units from a competitor in stock who don’t take them out of the toolbox because they don’t trust them to operate properly if rigged in place for an extended period of time. Wayne has noted this positive energy already. However, we know people who have not used force measurement technology before or those who have been utilizing alternative equipment are not all going to make a wholesale change to Straightpoint overnight. As our reputation grows, we continue to enhance our software, as demonstrated by the recent launch of Proof Test plus, which adds speed, accuracy and breadth to data recording and certification related to non-destructive load verification or proof load testing. Proof Test plus records data gathered by any Straightpoint wireless load cell, and creates a pass or fail certificate that includes a visual representation of the test (load versus time) in graph form. Information can be printed out directly as a PDF report, electronically transmitted or fed to the cloud. Given the opportunity, I want to close on a quick overview of the state of the market and the role diversification can play in hitting growth targets when key industries are slow. The Gulf Coast states were generating around 75% of our North American business. Despite the ongoing slump in the sector, we have still managed to grow overall, which is testimony to our success in penetrating other markets and introducing our force measurement equipment when it wasn’t perhaps considered before. Being proactive with a diversification strategy has been key. Reacting only when a hot market starts to cool is too late. Oil and gas thought leaders remain undecided on the prospects for the industry heading into Q4 and 2017, but we’ll be ready for when it does start warming up. In the meantime, our mission continues to make the lifting industry a safer place. There are tens of thousands of cranes lifting without adequate information about the load, which is not acceptable given the equipment and knowledge now available to industry. I still hear horror stories about hazardous sectors assessing the ability of the crane to successfully complete a lift by the creaking noise it makes as it raises it off the ground! Honestly. What does that say about the value of people? Mr. Loadlink, aka Straightpoint CEO David Ayling, will be back next month (September). 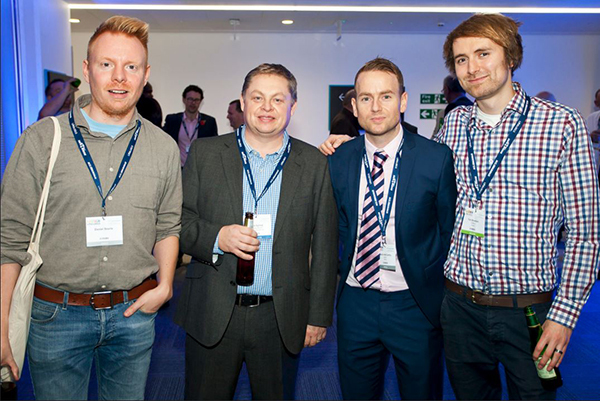 In his latest blog, Mr Loadlink reflects on a month that epitomised the importance of people, sometimes forgotten in the business world. Consider where your company would be without people. Probably nowhere. Yet, people are often taken for granted. I talk to a lot of business owners and many want to chew over margins, product, technology, automation, diversification and more, before acknowledging that progress wouldn’t be possible without personnel and their expertise. In my previous blog, I referenced a conversation that was refreshingly different and did focus on the power of people, but I don’t think I went far enough to champion the individuals at varying stages of their careers, from different backgrounds, with ranging skill-sets, that make up the Straightpoint community and the lifting equipment industry beyond that. As my LinkedIn connections saw in a teaser I recently posted, I’m delighted to confirm that we will be adding a very significant person from the industry to the business in January. Not that I can say more about that for the time being, but the acquisition serves as another example of the importance of individuals. While it’s crucial to source the best technology and product, it’s people that turn them into a business. I’ll certainly remember this month for people above all else. It began at the Europort trade show that put Rotterdam at the heart of the global maritime industry. At the start of the 37th edition of the show, Jolanda Janssen, CEO of Ahoy Rotterdam, which hosted the event, said: “This week all people with a role in the maritime industry gather together and share knowledge and we are very happy that we can facilitate that.” Well done, Jolanda, for focussing on the people, not the exhibition stands, aisles and products. Imagine the number of professionals that have added value to the event over those near 40 shows. Where would Europort be without them? A meal out with Jessi and the Van Gool Team, she tried oysters for the first time! It was employee Jessi Hill’s first overseas business trip. 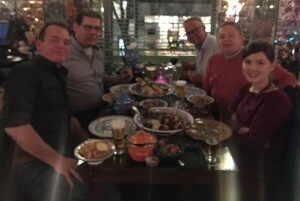 I was delighted to accompany Jessi across the North Sea to spend time with our Dutch distributor, Van Gool, as she does a fantastic job of being the lead contact for the Beverwijk-based company, from headquarters in the UK. Pieter van Duijn, commercial director at Van Gool, had specifically asked to meet Jessi in person, who also spent time with Timo de Bree from the sales department and others at one of our flagship global partners. The timing of the trade show represented an alignment of the planets and it was fitting that Jessi enjoyed her first business trip with one of the most people-orientated companies we have the pleasure of working with. During some important bonding time, the Van Gool team took Jessi and I on a boat trip around the Port of Rotterdam, reported to be the largest in Europe. On a general level, Europort was a very productive show. I read that the event welcomed a record number of exhibitors with over 1,100 companies present, representing 45 countries and covering 45,000 square metres of Ahoy Rotterdam. It’s certainly an event that will play a role in our development moving forward. Regular readers of this blog know how important diversification has become to the people of Straightpoint. As the oil and gas industry continues to reel, industries like the marine sector have joined the entertainment business as key areas of interest for 2016 and beyond. Our distributor-based, people-centric, business model enables us to achieve diversification very efficiently as our global partners are often inherently diverse in the product they supply and the markets they serve, which often stretches way beyond below-the-hook lifting equipment. This is true of Van Gool and our Spanish partner Cargo Flet Blasant, where I spent time with Ruben Blasco Colet this month. Ruben, like Pieter, Timo and our other partners are open to new markets and are accustomed to finding a solution to a problem. I hadn’t been to the Cargo Flet Blasant facility before and I thoroughly enjoyed spending time in Barcelona. I stayed on a lively street called La Rambla, which was buzzing with restaurants, bars… and people. Ruben Blasco Colet and I pause during a fascinating tour of the Cargo Flet Blasant facility in Spain. 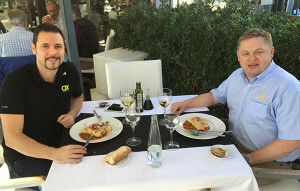 A well-earned meal with Ruben Blasco Colet away from the hustle and bustle of La Rambla in Barcelona. The trip was poignant because I travelled just days after the horrifying attacks in Paris. The airports were quiet and security was tight. In Barcelona there was a tangible sense of anxiety at times as armed police roamed around the city. However, it was important to honour the trip and do my bit in defiance of terror. Within reason, this will always be my policy and I believe we should all do what we can to carry on as normal. After squeezing in a house-move, Jessi, Tanya, Steve Woodhead and I travelled to Liverpool, where LEEA hosted an eagerly awaited LiftEx show. It’s a fascinating event because it polarises opinion on how it should evolve. The show has grown beyond recognition since the first one—I was there—in 2005 when it was a few tabletops in a grubby hotel meeting room. The brand new purpose-built Liverpool Exhibition Centre was palatial by comparison and I hear grand plans are afoot for next year’s expo in Aberdeen. Some folks say it should revert back to a smaller, shorter format, while others would like to see it become a honking three or four-day extravaganza with hourly carnival processions. Personally, I’ve kept my expectations for LiftEx in check and, once again, measured its value by a quality audience, albeit light in footfall at times. It’s not an exaggeration to say our stand was among the busiest on the show floor and that’s testimony to the priority we place in people. Jessi, Tanya, Steve and I all welcomed contacts to the stand and we even made some new acquaintances. 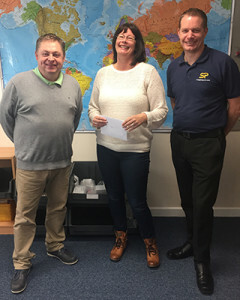 We completed the long journey south from Liverpool on the Thursday evening and were back at the grindstone in the office bright and early the following day, where we celebrated Tanya’s 10-year anniversary at Straightpoint. Tanya has played a significant role in our exponential growth over that decade and it was an honour to deliver a message of my gratitude and present her with a small token of appreciation in front of the team. Congratulations Tanya on 10 years at Straightpoint! Tanya is a rose between two thorns (Alfie and I) in this photo after accepting a gift to mark the occasion. “By failing to prepare, you are preparing to fail,” said Benjamin Franklin. 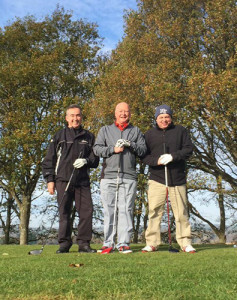 Last Friday was one of my favourite days of 2015, as it is every year, when I sat down with operations director Alfie Lee and my business partner Peter McGreal to review the last 12 months and plan for 2016. Where possible, our discussions related to the people behind the business but, honestly, much of the exercise revolved around those buzz words I referenced earlier—margins, product, technology, diversification—and, of course, our new as yet unnamed recruit. Let’s call him Load Cell Man, for now. Having spent the morning with Alfie and Peter, we devised a year-long plan for the business which, one, can be broken into the 90-day plan that is integral to life at Straightpoint and, two, provides the structure to the one-page dashboard that is my reference point throughout the year containing only seven critical numbers. That afternoon, we presented the plan to the team back at headquarters and personalised it for each member of staff. 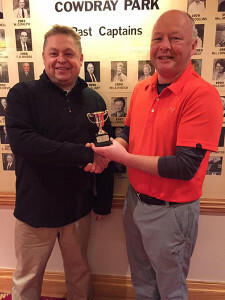 It’ll be a New Year I enter as the holder of the Load Cell Golf Cup 2015 having defeated Gary Mullins, of Action Coach; and LCM Systems boss Steve Sargeant, in freezing, blustery conditions that obviously put technique and swing physics to a fair test. Load Cell Golf Cup 2015 participants in a bracing wind. Let go, Steve, the Load Cell Golf Cup 2015 is mine! So here’s to the people that made November great: Jolanda Janssen, Jessi Hill, Tanya Gregory, Pieter van Duijn, Timo de Bree, Ruben Blasco Colet, Steve Woodhead, Alfie Lee, Peter McGreal, Gary Mullins, Steve Sargeant, Load Cell Man and many others I couldn’t fit into my monthly roundup this time. To keep up with our team across the world, follow us on Twitter—@LoadCell—and use the hashtags #loadcell and #belowthehook.